Nick has over 30 years experience in the prime London residential property market. He is a Fellow of the National Association of Estate Agents (FNAEA) and a Member of the Association of Residential Letting Agents (ARLA). He has established a reputation for straight talking and giving his clients a clear understanding of the market. He believes constant communication with clients is the key to providing the highest level of service. Manuela has worked as an agent for over thirteen years, eleven of which have been in Southwark. Originally from Milan, she has extensive experience of the complicated procedures that are required to be followed when buying a property in the UK. Her comprehensive knowledge, combined with being able to empathise with buyers who may not fully understand the processes, makes her the ideal agent. Her calm quiet nature ensures sellers and buyers are informed and not stressed every step of the way. 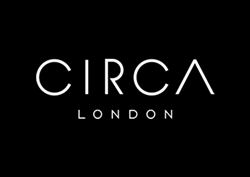 Robby joined Circa London from a well-known agency in Canary Wharf. He has a wealth of experience in the London lettings market and prides himself on securing the highest calibre of tenants ensuring that the rental experience meets their expectations. As a result, the properties are often let for longer as happy tenants stay put. Most importantly, he listens to gain a full understanding of their requirements and Robby is often complimented on the straightforward, friendly and personal approach that he offers. Graduated from Leeds Metropolitan University, Megan brings to the lettings team impeccable organisational skills and a real focus on customer relationship management. She is determined to find the right tenant at the best possible rent for each of our Landlords. Her approachable, yet professional attitude, engenders trust and commitment from all our applicants and clients. A genuine love of property, and of London, qualifies Megan as the perfect agent for those trying to decide on their next home. Antony is an incredibly energetic sales professional with a great track record of success in the Lettings market. With seven years experience, he has the knowledge and confidence to match tenants to exactly the right property for them, on the best terms. His expertise inspires confidence and our clients can rest assured that their interests are his priority. Antony is a sports enthusiast, with rugby being one of his greatest loves. Maddie’s previous experience is in Fashion Retail and Public Relations although she has always had an interest in property. She brings to Circa London her infectious enthusiasm and naturally warm personality. She has already embraced our ethos of providing an exceptional level of service, with constant communication with all parties being key. Maddie loves her food and has an incredible appetite for such a diminutive person. With several years experience of managing properties in London, Kasia is ARLA (Association of Residential Lettings Agents) trained and qualified. She is dedicated to making sure the properties are properly maintained and looked after around the clock. Tenants know that any issues that may arise will be dealt with quickly and efficiently and most importantly, she and her team understand the need for good communication every step of the way. Silviya has been involved in the London residential property market for over five years. She has an in-depth knowledge of the Lettings process having been both a Lettings Negotiator and a Property Manager. With these skills and her Bachelor Degree in Finance, it was a natural progression to become an Account Manager and she looks after our client accounts. She is studying to become a Chartered Accountant and is a keen cyclist and fitness enthusiast. Katie brings very considerable experience to the Property Management team. She previously managed a very sizeable and diverse portfolio, before spending eight months exploring Australia. Katie-Marie has a NFOPP (National Federation of Property Personnel) Level 3, Technical Award in Residential Letting and Management. Her skills in customer service and personnel management, further enhance the services provided to our landlords and tenants. Katie is a talented dancer and she keeps her hand in by teaching youngsters the joys of dance at the weekends.